Like the stock market, which has reached all-time highs in recent weeks, consumer confidence is high. And that same optimism is fueling the economic outlook for South Carolina for 2018. 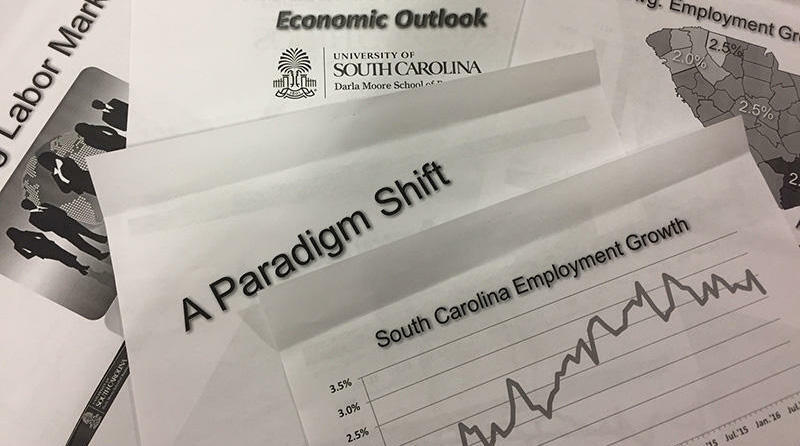 Economists Joey Von Nessen and Doug Woodward participated in a recent conference in Columbia, in which they predicted slow but steady growth of the economy in the coming year, at a rate of 2.1 percent. Personal income should be rise to 4.3%, up from 3.8%, said Von Nessen. The experts said large companies have brought many jobs to the state, turning around the general wisdom that small business historically generate the most jobs in an economy. But Woodward observed that it’s not just foreign companies like Volvo, BMW and Samsung, but large domestic businesses as well. Unemployment was expected to drop in 2018 from 3.9% to 3.6%, bringing the country near full employment, and as workers become harder to find, that typically raise wages, said Von Nessen. He added to the good news by predicting that any threats to the economy most likely will be few and small.